Our Teachers and Director are dedicated professionals who care for each child's individual needs. Each person on staff is CPR/First Aid Certified, has passed a background criminal investigation, has a Food Handler's Permit, and is required to continue their education with a minimum of 20 hours of education per year. 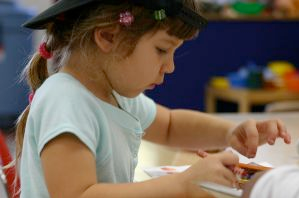 Our staff members understand that the transition from home to preschool can be hard for your children. We will help them through this transition as they become familiar with their new surroundings. Students also work with the same teacher as much as possible in order to become comfortable. Our tuition and fees vary by location, and are also subject to change. Contact Us for questions about prices in your location. Be sure to ask about our payment schedules. Part Time includes up to 24 hours per week. These 24 hours can be arranged according to the schedule you need. Parents must stay on the schedule agreed upon, unless otherwise approved by the Director. Full Time is 5 hours or more a day, 5 days a week. Full time is generally about 45 hours per week. If parents continually go over 50 hours per week there will be an additional $3.75 per hour charge. All rates include our preschool program if your child is at the center during our preschool hours from 8:30 to 11:30 AM. At Dixie Kids, we also cater to the newest additions to your family. We follow feeding and changing schedules for your small children and ensure they are well taken care of. We understand that it can be difficult to be away from your new children, and our professional staff will ensure that your child is in the best of care while we help you make this transition in your life. As children grow older, we introduce new activities and social experiences to aid in their development. Our Toddler aged activities are aimed at encouraging learning and the development of social skills, as well as burning off some of that extra energy. We provide nutrititious snacks for your growing child, plenty of exercise in our playground, and a much needed nap to soothing tunes. 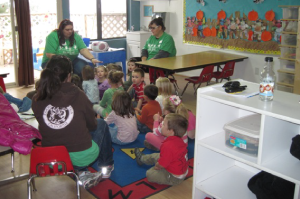 Now that your children are older, we move them to our 2 year old class, where they will learn social skills, self help skills, and participate in an age appropriate preschool program. Here they can follow the examples of the older children to learn social and behavioral skills. Along with our regular services, we offer transportation for our school-aged children to get to and from school. Children who arrive before 8:15 AM can get a ride to school with the other children in the Dixie Kids van. We will also pick children up from school to bring them back to our centers. We carry parents' contact information and a first aid kit in the van at all times in the case that either of them are necessary. Refer to the Parent Handbook or contact us for more information. During the summer, we can cater children up to 12 years old during our regular hours of operation.